Don't tell me my address is invalid! : Is There A Problem Here? : Don't tell me my address is invalid! Don't tell me my address is invalid! Flying J lost my business because their email address rules prohibited my valid address. No chance of a trailing space on that e-mail address? The problem was not a trailing space on the email address. I called the Flying J Internet customer service number and after some investigation they told me my email address would need to contain at least 5 characters before the @ to use their service. 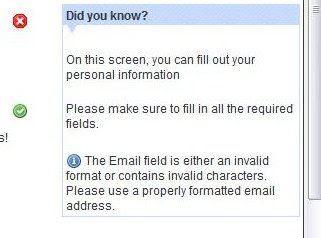 The system creators' assumption that no valid email addresses contain less than 5 characters before the @ is a wrong assumption.